Marine Hose & Pipeline Testing. AmSpec Australia are NATA accredited to pressure test hoses and pipelines, in accordance with Australian Standards. The AS2885.5 (Pipelines - Gas and Liquid Petroleum, Part 5: Field Pressure Testing) standard incorporates a strength and leakage test. AmSpec Australia specialise in testing pipelines in storage terminals and along jetties and wharfs. AmSpec Australia will also perform routine operational "pipeline pressure tests" in accordance with the client's internal procedures. The testing is performed with water or other suitable fluid with a flash point of less than 61°C. A Strength Test to AS2885.5 typically involves pressurising a pipeline to 1.25 times MAOP (Maximum Allowable Operating Pressure) and maintaining the pressure within 1 percent over two hours. A Leakage Test to AS2885.5 of a fully unrestrained (exposed) pipeline typically involves pressurising the pipeline to 1.1 times MAOP and visually inspecting the pipeline for leakage over three hours, or perhaps longer if flanged joints are involved. A Leakage Test of a restrained (buried) pipeline is more involved, where the temperature/pressure relationship of the pipeline is monitored over 24 hours for compliance with the allowable variation stipulated by AS2885.5. The pipeline is prepared for the leakage test by packing the pipeline with testing fluid, allowing sufficient time for the fluid to reach equilibrium and isolating the pipeline and associated fittings. Pressure and temperature monitoring equipment is fitted to various points along the pipeline and a residual air test is conducted. The residual air test is important due to safety considertions.. Provided the residual air content is within acceptable limits the pipeline is typically pressurised to a minimum of 1.1 times the MAOP. The pipeline pressure and temperature and ambient temperature relationships are then monitored over 24 hours to identify any gross leakage that may be identified by a non correlation of these values. If leakage is identified from pipe fittings then it is rectified and the test is restarted. At the completion of the 24 hour test, calculations involving the temperature and pressure variations and the pipeline construction data will determine whether the unaccountable liquid variation is within the limits prescibed by AS2885.5 and whether the pipeline is considered acceptable in regards to leakage. The affect of residual air on the detection of leakage is also reassessed at this stage, particularly if the pipeline pressure is less than 2000 kPa. 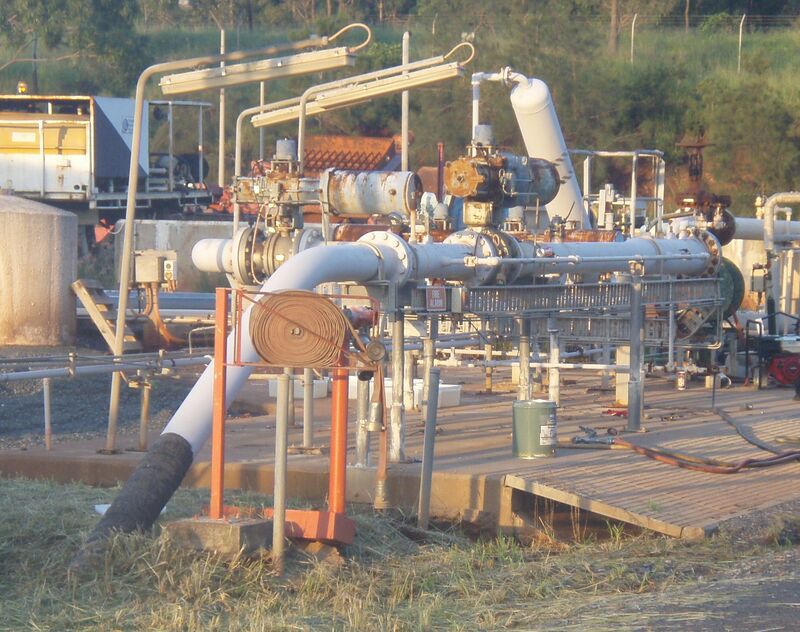 AmSpec Australia are able to perform all aspects of the pressure test from pipeline preparation through to reporting, depending on client requirements. All testing equipment is provided by AmSpec Australia and is calibrated/certified to national standards. AmSpec Australia are also NATA certified for tank calibration, tank settlement and roundness survey and the hydrostatic testing of hoses.